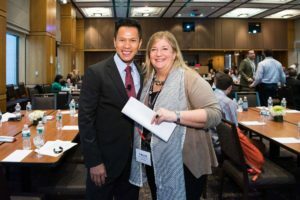 For the 3rd year in a row, Jimmy hosted DOWNLOAD NY 2015 – the annual digital tech conference in New York run by Davis Wright Tremaine LLP (where Jimmy was a partner until February 2017). In addition, Jimmy delivered an opening keynote presentation about the “Human Touch” still required for technology to succeed. Other session topics included cybersecurity, big data, and wearable technology (complete with wearable fashion show), as well as solo speakers giving “Tech Talks” about bitcoin/blockchain technology, workplace technology, and community innovation.